Made of felt, the Wave Room Divider by Hey Sign delights with its sound-insulating feature. All in all, 5 meter of wool felt with a thickness of 3 mm was used for each element. The natural, insulating material and the special arrangement in waves are the reason why the Hey Sign Room Divider reliably "swallows" noises. The black aluminium framework guarantees the stability of the room divider. Except for the slim bases which give an idea of the stable structure, everything is covered with the felt. 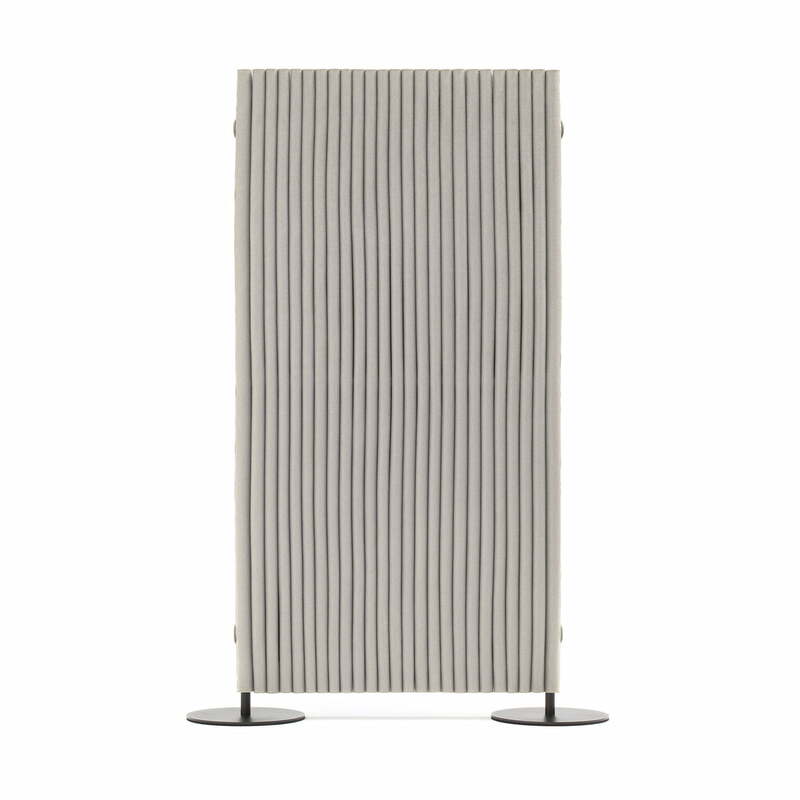 Due to its practical design, the Hey Sign Room Divider was awarded with the Interior Innovation Award in the field of room acoustics in 2015. The Hey Sign Room Divider is a perfect privacy shield in the office or other areas which can optionally be expanded with further modules. Additionally, the design also delights because of its sound-insulating feature, enabling a particularly pleasant indoor climate. Single image of the Room Divider Wave in the colour bright mottled. The room divider by Hey Sign is a practical privacy shield with a sound-insulating feature.